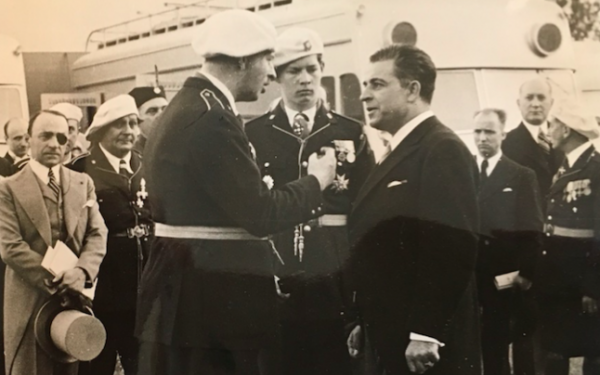 Dimitrie Dimăncescu (1896-1984), the Romanian diplomat whose life resembles a novel, war hero decorated by three monarchs and a close collaborator of Winston Churchill, is one of the most remarkable figures of his time in Romanian history. “Uncharted Journey: Memoirs of Dimitri D. Dimancescu”, his astounding memoirs that span the first half of the 20th Century, will be launched at the Romanian Cultural Institute in the presence of Dan Dimăncescu, the diplomat’s son and editor of the volume, and Anita Prazmowska, Professor of International History at the London School of Economics. 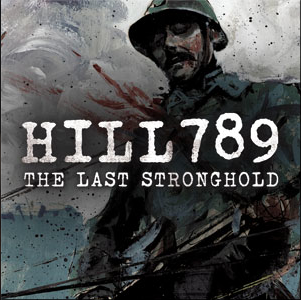 The evening will be opened by the screening of “Hill 789: The Last Stronghold” (Kogainon Films, 2009), a vivid documentary that follows the Eastern Front experiences of Dimitrie Dimăncescu during the First World War. Dimăncescu went to war in August 1916, followed later by his brother Ion. 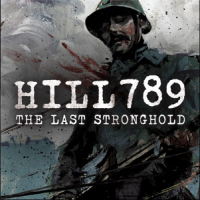 The film covers his dramatic experiences on the Romanian Front between August 1916 and December 1918 and the encounters with British Col. Norton Griffiths, sent to sabotage the Romanian oil wells, as well as the fierce battles against Lt. Erwin Rommel on Hill 789. 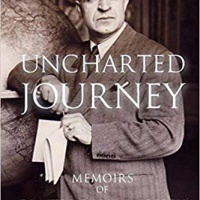 “Uncharted Journey: Memoirs of Dimitri D. Dimancescu” (BTF, 2016) is an outstanding book that goes behind the closed curtains of Romanian history, revealing unprecedented details of the pre-war and interwar period, as well as radical decisions that changed the fate of the country and the world. 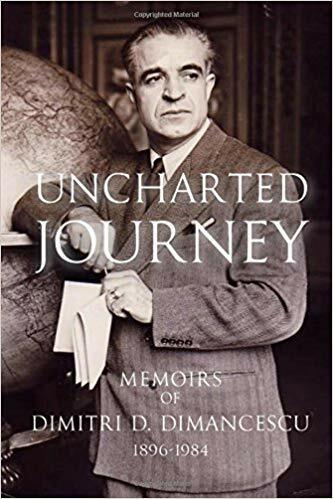 Among the many personalities that crossed Dimăncescu’s path are: Queen Marie of Romania, King Carol II, Lt. Erwin Rommel, Prince Antoine Bibesco, Nicolae Titulescu, dancer Loie Fuller, William Randolph Hearst, British 'spymaster' Bruce Lockhart, Gheorghe Tatarescu, Winston Churchill, the Pacha El Glaoui (Marrakech). While a student at the Gheorghe Lazăr High School in Bucharest, Dimitrie Dimăncescu founded the Romanian Boy Scout movement in 1913. In 1916 he joined the army in a unit led by Prince Carol. Serving in WW I against Germany, he rose to the rank of Captain after service in the Mărășești/Oituz battle zone. For special services in helping sabotage the nation's oil wells in Ploiești to prevent their exploitation by Germany, he was awarded the Military Cross (MC) by personal order of King George V of England. This honour was rarely awarded to foreigners at the time; later he received the title of Commander of the Royal Victorian Order (CVO) from the British Sovereign. Higher education took him to the United States, where he undertook engineering studies at Carnegie Institute of Technology in Pittsburgh, Pennsylvania. Graduating with distinction he was invited by Prince Antoine Bibesco to serve in the diplomatic service in the Washington, D.C., legation. A career in diplomatic service ensued, taking him to further posts in the UK and the USA. For a short period, he was designated Director General for Propaganda and Tourism in 1937-1938. While serving as a diplomat in London, he chose in 1941 to resign from the service when the Antonescu dictatorship was established in collaboration with the Nazi government. He soon co-founded the Romanian Free Movement led by Ambassador Viorel Tilea. At the same time, he was invited by P.M. Winston Churchill to serve in Political Intelligence against the Germans in Romania. At war's end he re-entered diplomatic service during the period of post-war treaty negotiations at the Paris and New York conferences. In 1947 he went into exile after the communist coup and lived in Marrakech, Morocco, for eight years before emigrating with his family to the United States in 1956.